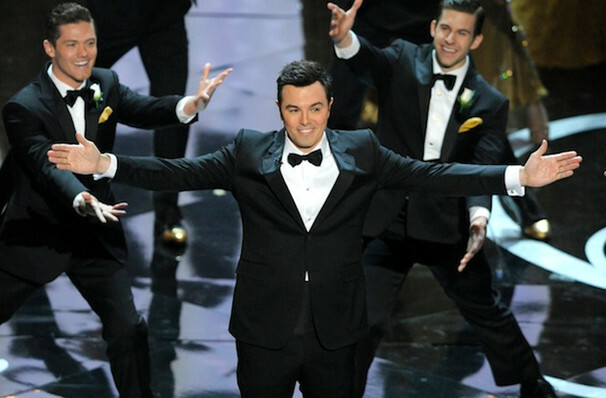 "More than Martin, the crooner whom the suave, self-assured Mr. MacFarlane resembles is Steve Lawrence. Like Mr. Lawrence, he is vocally relaxed, has perfect pitch and plays it cool even when swinging hard." Why See Baltimore Symphony Orchestra: Seth MacFarlane? Perhaps best known as the dark genius behind the subversive animated TV series Family Guy, Seth MacFarlane is the man of 1000 voices. The creative polymath's way with accents and impressions has certainly earned him a place in comedy history, but it's his honey-toned singing voice and love of the Big Band era that's seen the creation of this one-night-only concert with the Baltimore Symphony Orchestra. Harking back to a time when Ol' Blue Eyes ruled the radio waves, Grammy nominee MacFarlane will showcase his favorite American Songbook tunes. With a mischievous twinkle in his eye and rich, sonorous vocals, he's well suited to the role of charming vintage crooner. Of course, he won't be leaving his irreverent brand of humor at home, so expect off-the-wall quips amidst the trad jazz hits. Seen Baltimore Symphony Orchestra: Seth MacFarlane? Loved it? Hated it? Sound good to you? 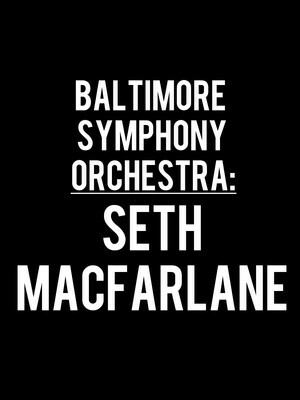 Share this page on social media and let your friends know about Baltimore Symphony Orchestra: Seth MacFarlane at Meyerhoff Symphony Hall. Please note: The term Meyerhoff Symphony Hall and/or Baltimore Symphony Orchestra: Seth MacFarlane as well as all associated graphics, logos, and/or other trademarks, tradenames or copyrights are the property of the Meyerhoff Symphony Hall and/or Baltimore Symphony Orchestra: Seth MacFarlane and are used herein for factual descriptive purposes only. We are in no way associated with or authorized by the Meyerhoff Symphony Hall and/or Baltimore Symphony Orchestra: Seth MacFarlane and neither that entity nor any of its affiliates have licensed or endorsed us to sell tickets, goods and or services in conjunction with their events.